Travelling Moi: Lip gloss addict! 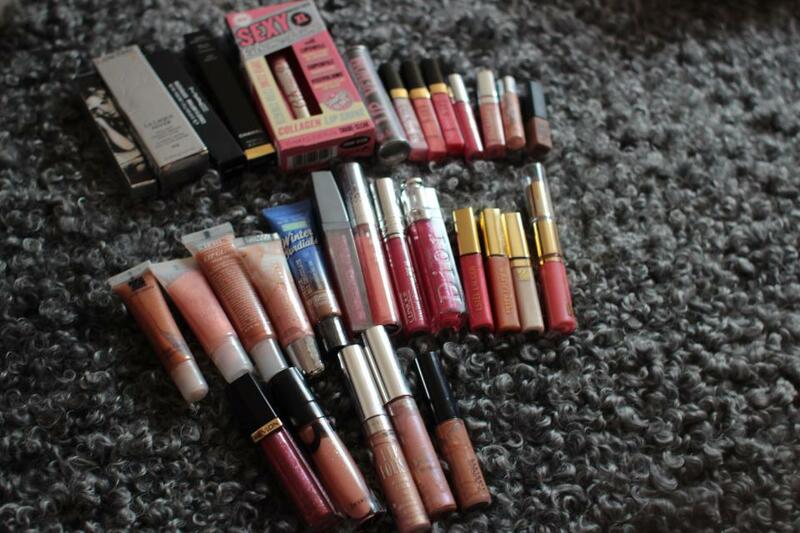 Ok, I'm such a Lip gloss addict. I can't stop buying them, I just want to collect and not use them! I know it sounds stupid since make-up expires, eventually. It started in High school when I became interested in make-up, though I only buy those cute container lip balm/glosses (which, by the way, I still have ;p) then it became an obsession. The colors I normally use are nudy, pinkish and orangey lip glosses and oh, I'm also a fanatic of flavored lippies. I could spend a day just sniffing their fruity or candy-ish scent. I have used a lot of different brands but I can't really say which one is the best. And my favorite brands are Estée Lauder, Clinique, Lancôme, MAC and Chanel. Time to Clean the Makeup Kit!! !